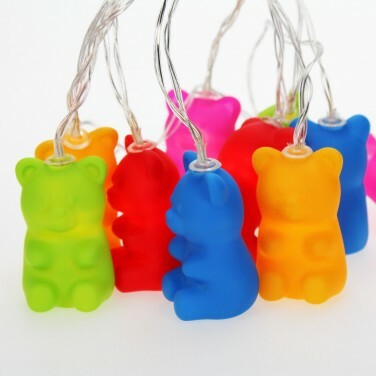 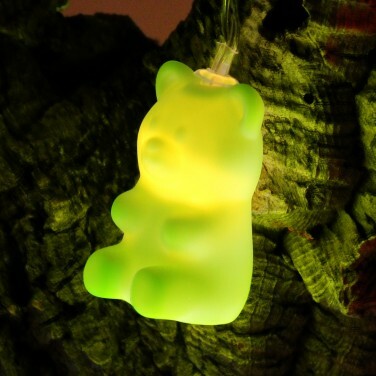 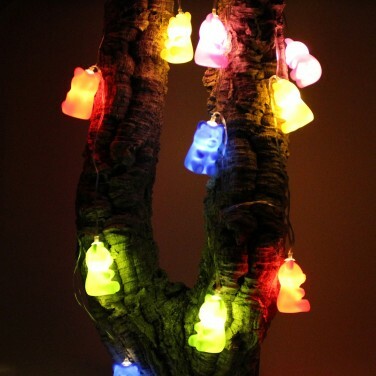 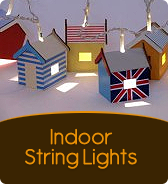 Packed with colour and lit with white LEDs, jelly bear string lights add a playful vibe to kids rooms. 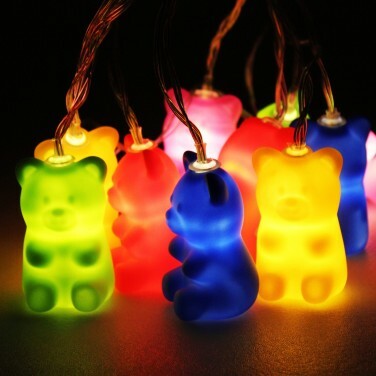 Ten brightly coloured soft and squidgy teddy bears are each lit with a white LED illuminating the bears with a warm comforting glow. 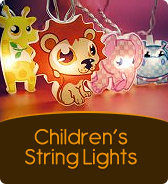 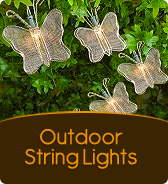 Battery operated, place these cute characters anywhere to make a sweet lighting feature that shines with gentle reassurance making the dark a friendlier place.